We do not usually require you to provide any personal data when you access the Bundesbank's website. Some data are saved in a log file (see chapter "Cookies") and only used to optimise our internet service and for statistical purposes. Data submitted in e-mail enquiries are only used to answer such enquiries and, once processed, are saved for a maximum of two years. When you register for an event via e-mail or by filling out a contact form, your data are processed for this sole purpose and are deleted six months after the event at the latest. Should it be necessary to pass on your registration data for certain events, for instance to the Federal Police as they are responsible for maintaining the security of the grounds, you will be explicitly informed of this. If you order information materials, newsletters or brochures or request to be informed of events, we will ask you to provide your name and other personal details required to send these items/this information. These data will be used only by the Bundesbank and, where applicable, by the company commissioned to distribute the material. You can opt out of receiving information at regular intervals at any time, upon which your data will be deleted. We do not disclose your data to third parties without your express consent unless this is required by law, owing to a court decision or in connection with legal or criminal proceedings following an attack on the Bundesbank’s internet infrastructure. Data are not disclosed for other non-commercial or commercial purposes. We adhere to the principles of data avoidance and data minimisation and thus store your personal data for only as long as necessary to fulfil the purposes listed here or in accordance with the various data retention periods provided by law. After the respective purpose ceases to apply, or after these retention periods have expired, the corresponding data are routinely deleted or blocked in accordance with the legal provisions. Most browsers have been set up to accept cookies automatically. However, you can deactivate the "Save cookies" function at any time, or change your browser settings so that cookies are saved only for the time that you are connected to the internet. To ensure the security of your data during transmission, we use state-of-the-art encryption algorithms (eg SSL) via HTTPS. The Bundesbank’s website uses services provided by etracker GmbH (www.etracker.com) from Hamburg, Germany, to analyse usage data. Cookies are employed here to enable a statistical analysis of visitors’ use of the website and to allow use-related content or advertisements to be displayed. Cookies are small text files that are stored by the internet browser on the user’s end device. etracker cookies do not contain any information through which a user can be identified. 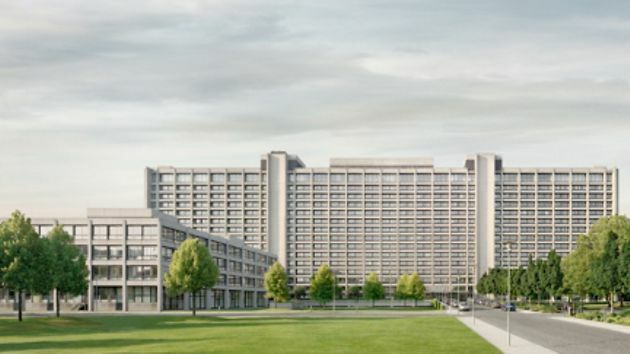 The data created by etracker are processed and saved exclusively in Germany on behalf of the Bundesbank, and are therefore subject to strict German and European data protection acts and standards. etracker has been independently audited and certified in this regard, and has been awarded the “ePrivacyseal” data privacy seal. Data processing is performed on the legal basis of Article 6 (1) letter f (legitimate interest) of the EU General Data Protection Regulation (EU GDPR). The optimisation of the Bundesbank’s online presence and website constitutes a legitimate interest. etracker anonymises IP addresses as early as possible, and converts login or device identifiers into a unique key which is not assigned to an individual. etracker does not use this data for other purposes, merge it with other data or pass it on to third parties. You can opt out of data collection and storage at any time using the link "Object to the use of data for analysing the website" at the bottom of this page. Persons under 18 years of age should not transmit any personal data to us without the consent of their parents or legal guardians. We do not request personal data from children or young people. We do not knowingly collect such data or disclose them to third parties. We hereby refer explicitly to the relevant conditions contained in our disclaimer, which is included on the Imprint page. If you have any questions about your personal data held on file, please contact the Bundesbank's Data Protection Officer. The Bundesbank processes your personal data in accordance with the relevant data protection provisions. The contact details of the official Data Protection Officer can be found in the adjacent contact box, or, in the mobile view, in the contact box below. The Bundesbank only processes your personal data to fulfil the purposes for which they are collected. These data are deleted as soon as they are no longer required for such purposes. You have the right to obtain information concerning which data of yours are being processed. Furthermore, you may demand that incorrect personal data be corrected or your data be deleted once the reason for which they were processed no longer applies. Should you have questions regarding your rights or the handling of your personal data, you may address them to the official Data Protection Officer. If you feel that the processing of your personal data by the Bundesbank represents a violation of your rights, you have the option of contacting the Federal Commissioner for Data Protection and Freedom of Information (BfDI). The contact details of the BfDI can be found at the link below.